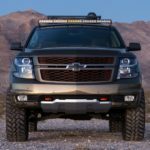 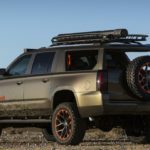 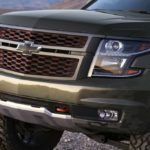 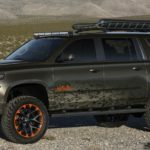 At the 2017 SEMA Auto Show currently taking place in Las Vegas, Chevrolet has had quite an impressive approach on its massive yet beautiful Suburban SUV, the model being called Luke Bryan Suburban and tweaked with new off-road features. 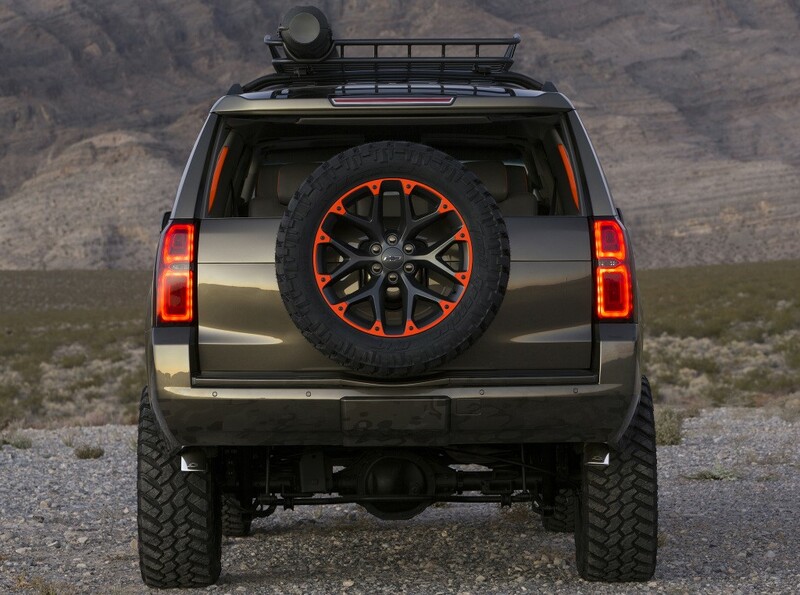 Obviously, Luke Bryan is a famous country music singer. 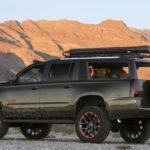 While the power retains the same 355 HP and 383 lb-ft of torque from the Suburban`s stock 5.3-liter V8 pot, the new details at the exterior is what makes it stand-out from the crowd. 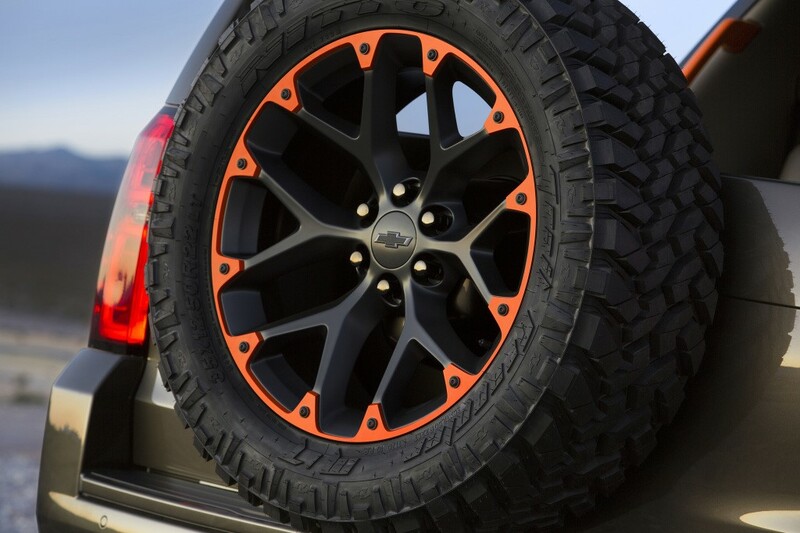 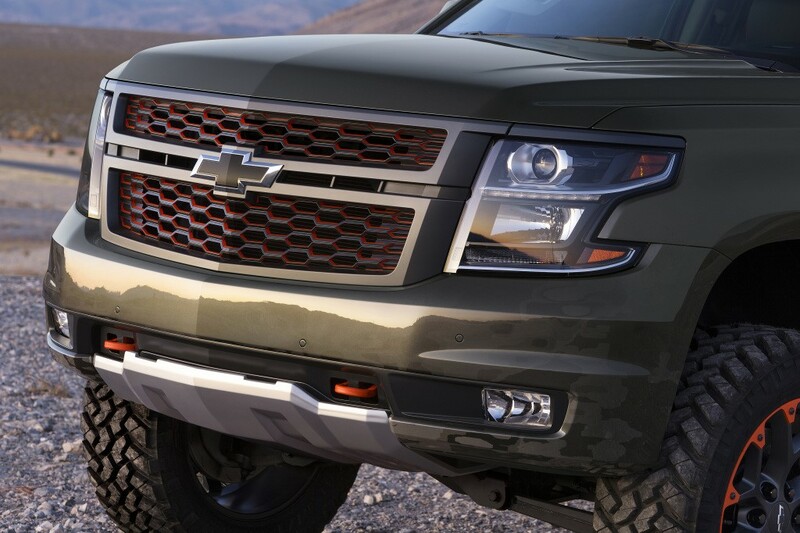 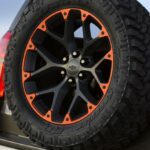 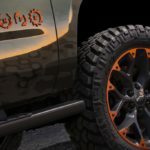 Among the top features, the Luke Bryan Chev Suburban SUV is a real eye-catcher with the new Hunter Bronze exterior wrap with Dark Carbon accents and camouflage graphics, adding massive 22-inch Chevy Accessories wheels with 35-inch off-road tires. 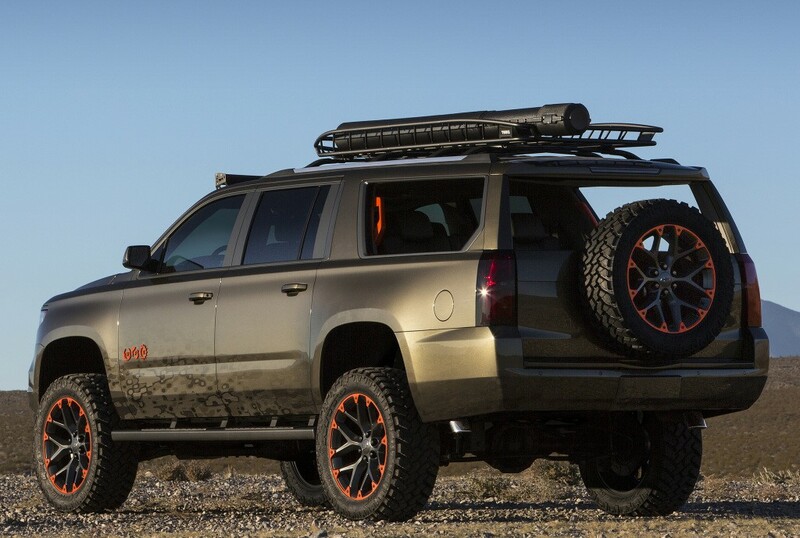 The SUV also gets roof-mounted light rack or bespoke lower fascia. 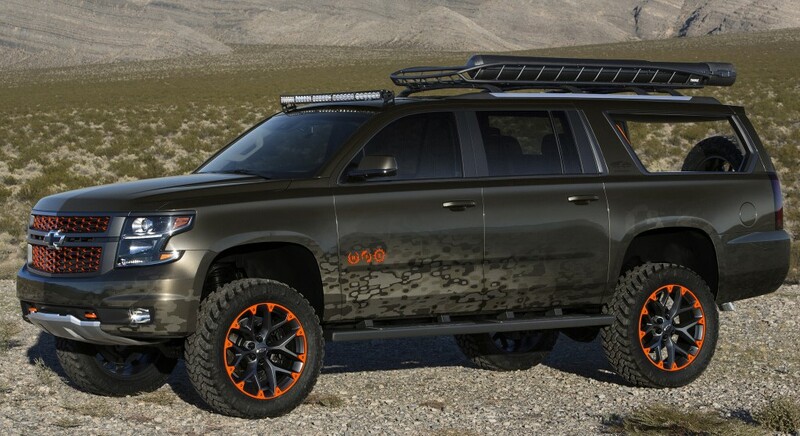 Motorward auto magazine has provided full details of the model below. 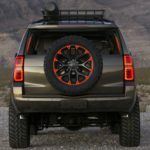 Swing-out tailgate with spare tire mount. 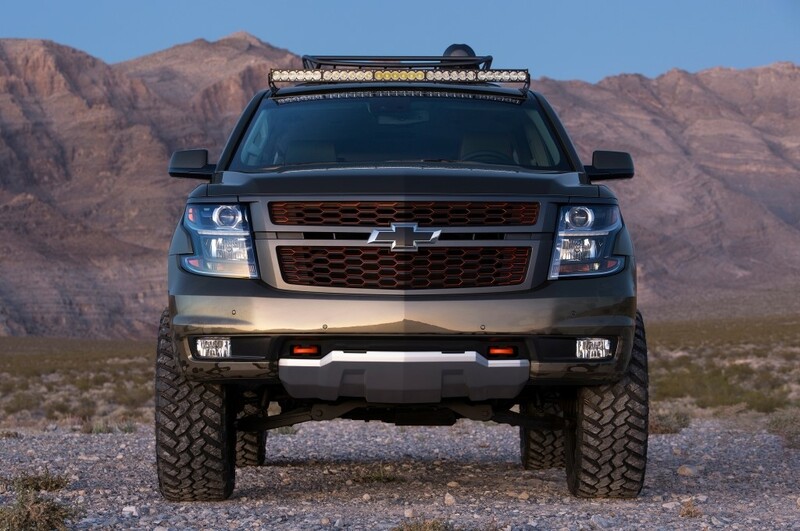 Re-trimmed headliner in Light Platinum Taffeta material. 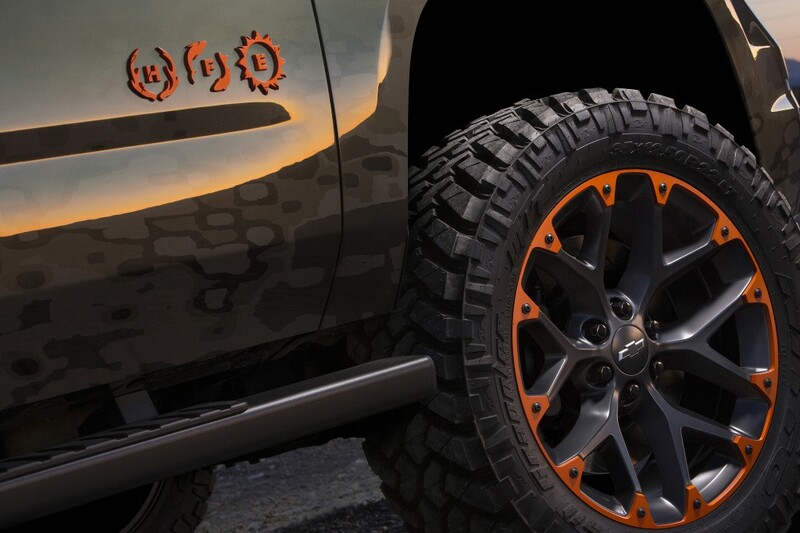 Tow hooks in Anodized Orange. 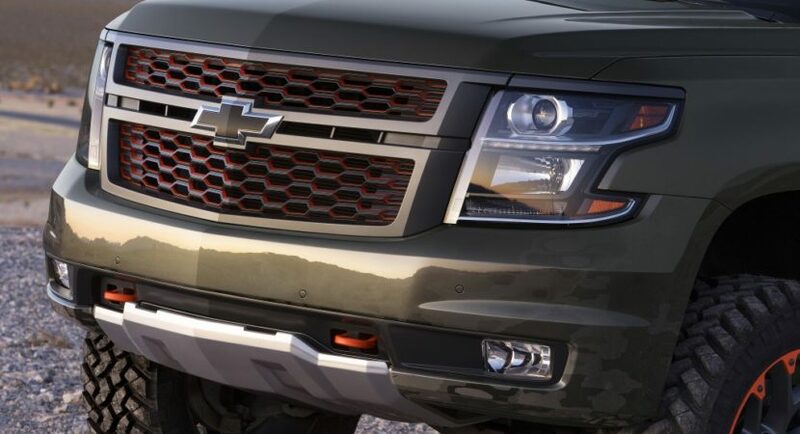 Chevrolet Performance front six-piston Brembo® brake upgrade system.